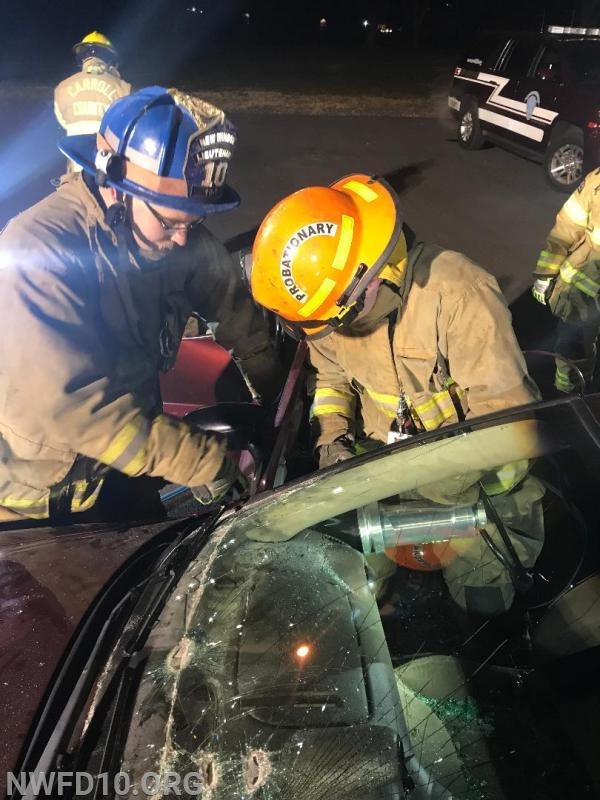 On November 29, 2018 several members gathered at the station to participate in auto extrication training. 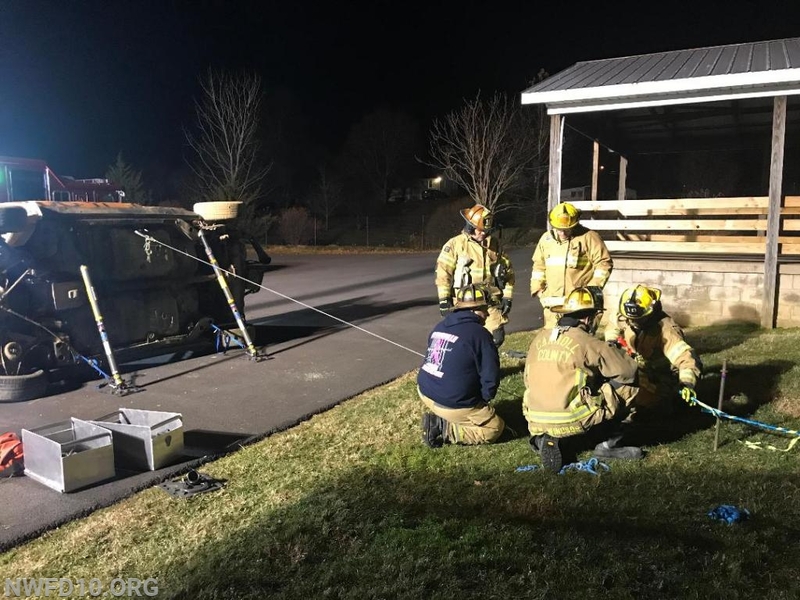 The training consisted of drills in stabilization of vehicles both on their wheels and on their side as well as several standard maneuvers in dismantling the vehicles utilizing hydraulic rescue tools. Both cars utilized for the training were donated by members of the community. Engine 101 was even able to take in a box alarm for smoke in the building at Walgreens during the training event.